MOVE-IN READY. The exterior of the home features Florida Vernacular architectural details with stone, stucco and siding. There is an added covered breezeway between the detached 2 car garage and the home. Paved driveway, walk way and porches complete the unique exterior. Exquisite living is the focal point in the Acadia floor plan. 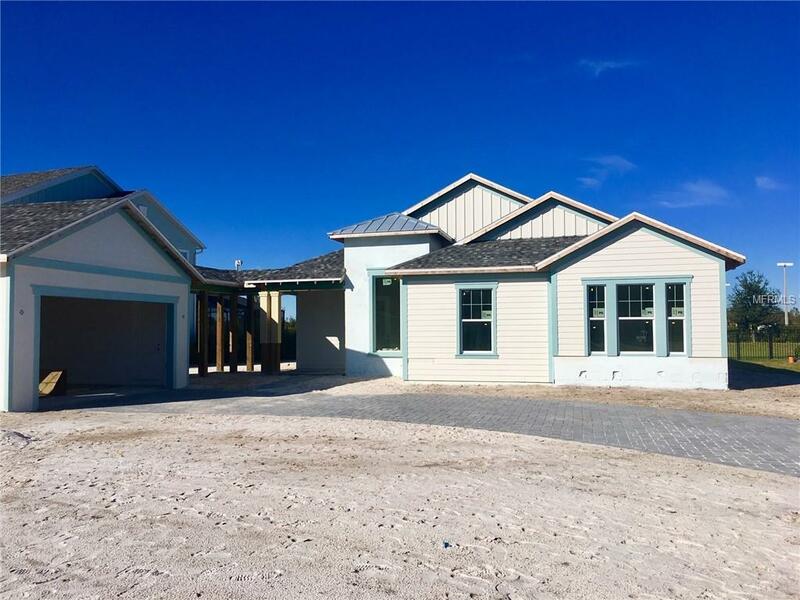 This 4 bedroom and 3 bathroom home features wood look tile, shaker cabinets and quartz countertops throughout. The covered porch entryway leads right into the wonderfully designed open , 3 way split floor plan. A large great room is centrally located for maximum convenience. 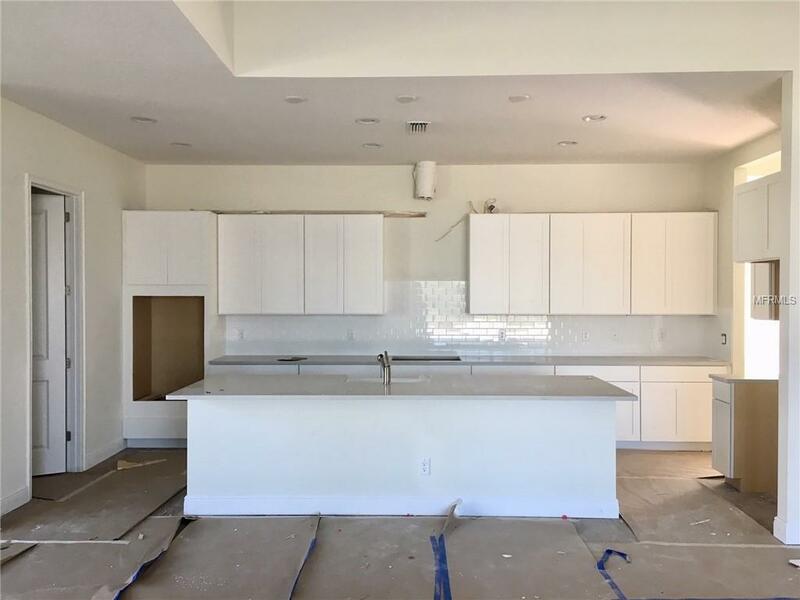 A spacious gourmet kitchen features gas cook top with vent hood, farmhouse sink, build in convection oven / microwave combo and large kitchen island. Perfect for entertaining guests and spending quality time. Views from the great room look out onto the relaxing covered lanai .You'll find a guest bedroom and bath at the end of the home. 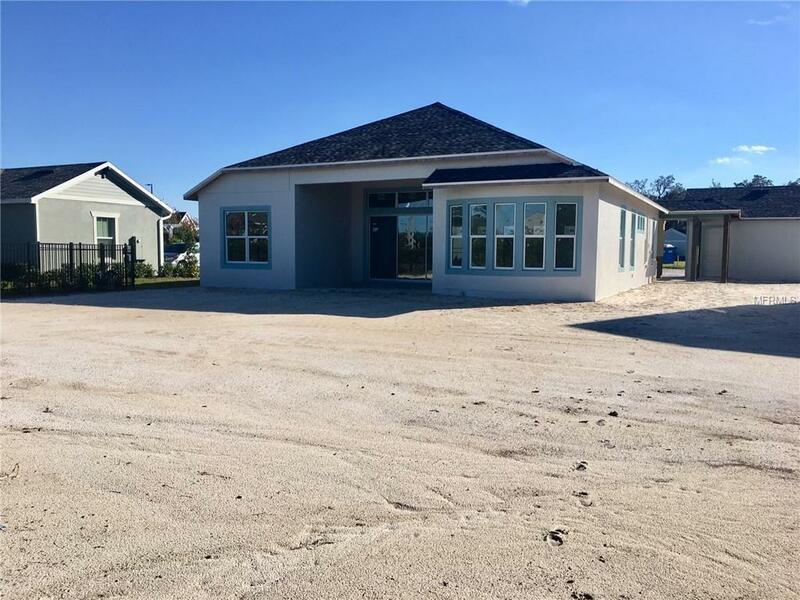 On the other side, the owner's suite and master bath features ample space and a large walk-in closet with convenient access to the laundry room. The remaining two bedrooms enjoy a private atmosphere all their own, featuring a shared bath. The home is located on a cul-de-sac, 0.39 acre lot. Community amenities, lake and schools are in close proximity. 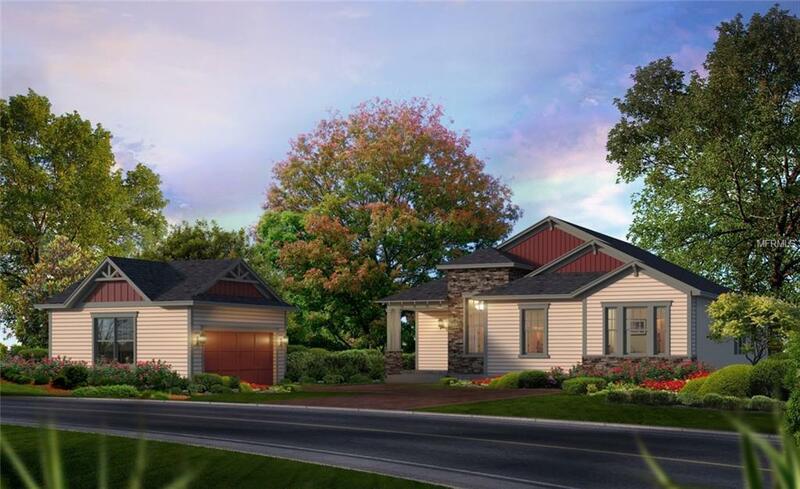 ICI Homes went above and behind designing the Acadia floor plan with options available for customization. Don't forget to check out our virtual and 3D tour! Listing provided courtesy of Ici Select Realty.